T-Mobile is tripling down on its current value-minded strategy with a new line of smartphones. The REVVL T1, T2, and T3 Pro aim to offer good specs and good looks at an affordable price. An exclusive report from Android Authority says that T-Mobile has three new phones in the works. The phones are part of a new line of affordable devices named REVVL, and the website has shared the specs for what it believes is the entry-level model, the REVVL T1. 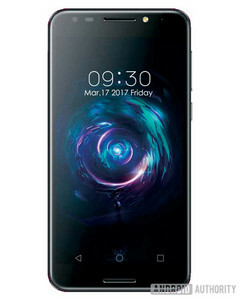 Quoting an "exclusive source," Android Authority says that the REVVL T1 is a mid-range device, featuring a 5.5-inch 1080p IPS display. The phone has a 13-megapixel rear camera with LED flash, and a 5-megapixel front camera with flash that can capture wide-angle shots. A 3,000 mAh battery and a fingerprint sensor fill in the rest of the known specs. Unfortunately, the website does not provide information on the processor, the amount of RAM, or storage capacity. It does mention that the REVVL T1 will run Android Nougat, but suggests that it will likely include bloatware (this will be a carrier-branded phone, after all). Android Authority admits to being unsure if the UI will be heavily skinned. Two other devices in the REVVL line are expected: the T2 and T3 Pro. However, there are no details available for either smartphone. It is believed that they will be more "high-end" than the T1, while remaining affordably priced. All three REVVL handsets are expected to be manufactured by TCL, the parent company of Alcatel and maker of the recently-released BlackBerry KEYone. As of now, there is no word on how much each device will cost, or when they will be released.